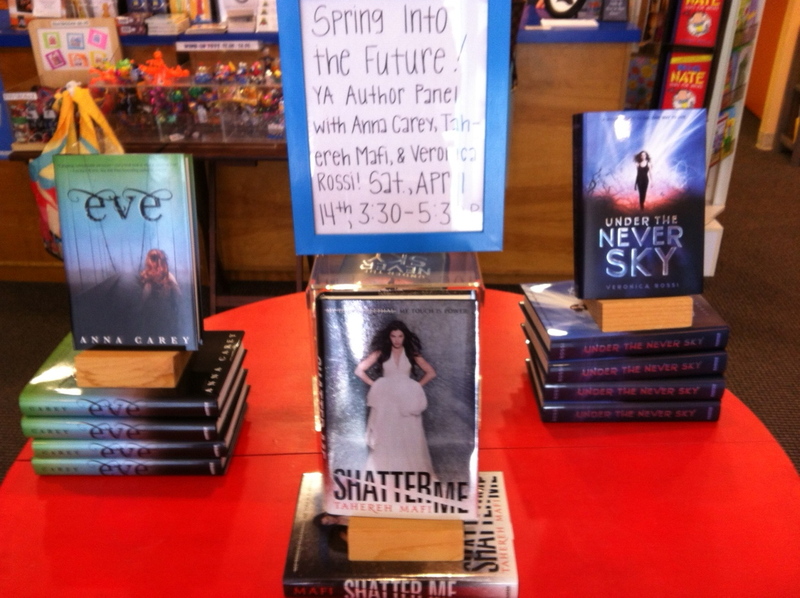 Reading Teen Interviews Tahereh Mafi (Shatter Me & Unravel Me), Veronica Rossi (Under the Never Sky & Through the Ever Night), and Anna Carey (Eve & Once) for the Spring Into the Future Book Tour. We actually recorded this awhile ago, but have had all sorts of video issues which delayed us. But since Unravel Me and Through the Ever Night are coming out soon, we thought it'd be a good time to throw this at ya! Side note: The interview was filmed by Austin on the good camera (that you can see sometimes in the background) but was messed up, so we had to use the footage from the webcam. Please excuse the quality! We had so much fun hanging out with these amazing ladies at this event! They are truly the kindest, funniest girls! I hope we get to see them again soon! What a fantastic event! I am going to the Dark Days event in Feb and will get to meet Tahereh Mafi, Veronica Rossi, Cynthia Hand, and Brodi Ashton. I am so excited!! Author events are so great! !